Geoterra’s land surveying and geospatial engineering expert Mark Hudson provides testimony that is legally defensible, accurate and impartial. In the event of a dispute relating to construction, it is often necessary to seek advice from an independent and impartial expert witness. 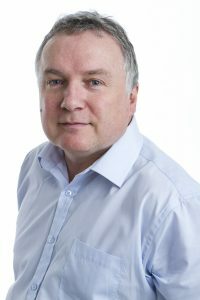 Geoterra’s Managing Director, Mark Hudson is a Chartered Land Surveyor with over 30 years’ land surveying and geospatial engineering experience. His expert opinion has been called upon by construction legal professionals for a wide range of legal cases, including a number of high-profile cases. Why appoint Geoterra to act as an expert witness? We offer independent and impartial expert opinion based on fact. As an expert witness, we draw upon our experience to analyse land surveying and geospatial engineering information with objectivity, providing factual and independent expert opinions that are industry-respected. All investigation work and reporting is carried out on an independent basis. Our expert witness is employed to establish the facts from the data, reports, documents and other sources of evidence and provide opinion based on that information. Our testimony is legally defensible, accurate and impartial to provide you with the substantive expert opinion you require to strengthen your legal argument.